Minneapolis and Saint Paul are the coldest major cities in the United States. But they’re also top biking cities. Biking + crazy-cold-winter = lots of icicle beards. In this episode of “Are You MN Enough?” Erik J. Nelson introduces us to the culture of “yearounders,” bike enthusiasts who just keep on pedaling– come snow, hail, and sub-zero temps. “Are You MN Enough?” is an original web series produced by Rewire, a project of Twin Cities Public Television (tpt). In each episode, a new local video producer creatively explores an aspect of being Minnesotan. Why do or don’t you bike through the winter months? Tell the world in the comments! “Are You MN Enough?” intro music is “Best Dance Alliance” by Dance Band featuring BFF. I’m more Minnesotan than some native born ones: asking me how I bike in the winter. As long as the streets are clear of snow and ice I’ll ride. Just did earlier today and liked it so much that I’ll do it again. 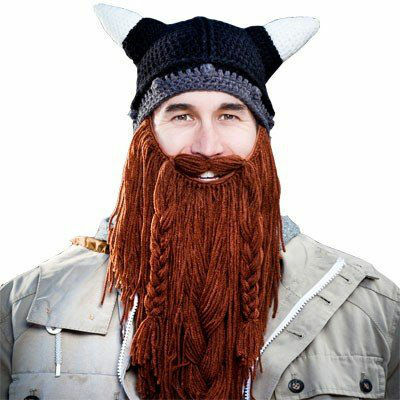 Are you seriously required to grow a beard in the winter? I’d better stop riding. 🙁 Or perhaps I’ll just knit myself a beard. May I suggest this one, Rebecca? The video is a little bit man-centric. My hats off to all of those who brave our roads throughout the winter. I’m a partial winter wimp. Below about 10f and my bicycle stays inside. Really heavy snow? Same. And I’ll only ride where I have paths with curbs or something to at least provide a feeling of protection from slipping and sliding cars (and fortunately Shoreview’s paths do this).